CAMP SENDAI, Japan- When talking about field artillery and fires support, most people talk about cannons and multiple rocket launcher systems. 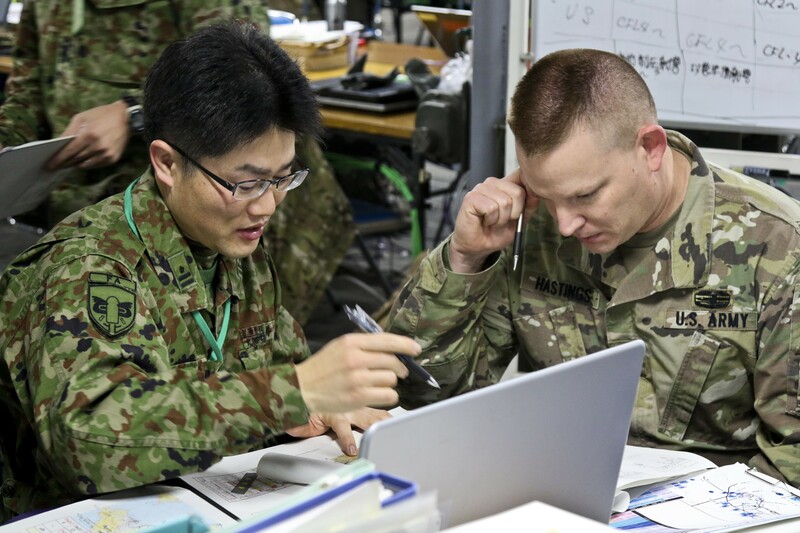 The Thunderbolt Brigade shows during Yama Sakura 73, a U.S. Army Pacific and Japan Self-Defense Force command post exercise, that field artillery brigades can coordinate both lethal and nonlethal elements on the battlefield. The 17th Field Artillery Brigade is supporting YS 73 as the Multi-Domain Task-Force -- Pilot Program Headquarters. This is the first exercise that MDTF-PP HQ has integrated both lethal and nonlethal enablers to effect the course of battle. "The Multi-Domain Battle concept is based on the thought that the future holds significant challenges for the Army," said Maj. Marc Cleveland, the information officer with 17th FA BDE. "We will not necessarily have a technological advantage over adversaries, and we will have to fight effectively in five different domains; air, land, sea, space, and cyberspace. Cleveland goes on to explain that nonlethal fires is one way the Army can create targeted effects that create opportunities to gain an advantage over an adversary. Then he talked about what are nonlethal fires. "Nonlethal fires are often referred to as Information Related Capabilities, or IRCs," said Cleveland. "IRCs are tools, techniques, and procedures that are synchronized and employed to gain an advantage on the battlefield. In reality, any capability can be an IRC, but the term is routinely used to reference Military Information Support Operations, Cyber Electro-Magnetic Activities, Civil Affairs, and Public Affairs." Earlier this year, 17th FA BDE was chosen by the Department of the Army and U.S. Army Pacific to be the MDTF-PP HQ. "The field artillery is actually a great component in my opinion to be the MDTF-PP HQ because it really boils down to the targeting process as a blend of lethal and non-lethal targeting to shape the battlefield," said Maj. Scott Hastings, the fires support officer with the 17th FA BDE, "and targeting is what a field artillery brigade does." As the pilot program, Hastings explained, the brigade is building the information processes. They are running through process scenarios and getting lessons learned as they move forward with the MDTF. This will translate into helping the Army build and shape how to create and use multi-domain in the future. 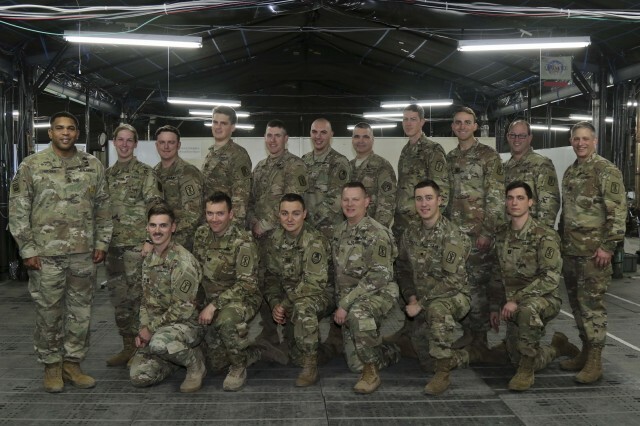 Over the past few months, 17th FA BDE has been pulling together a team that is able to create the systems and procedures to carry out the MDTF-PP HQ mission. To do this it has taken aboard soldiers with very specific skill sets. Cyber being one of those skills. 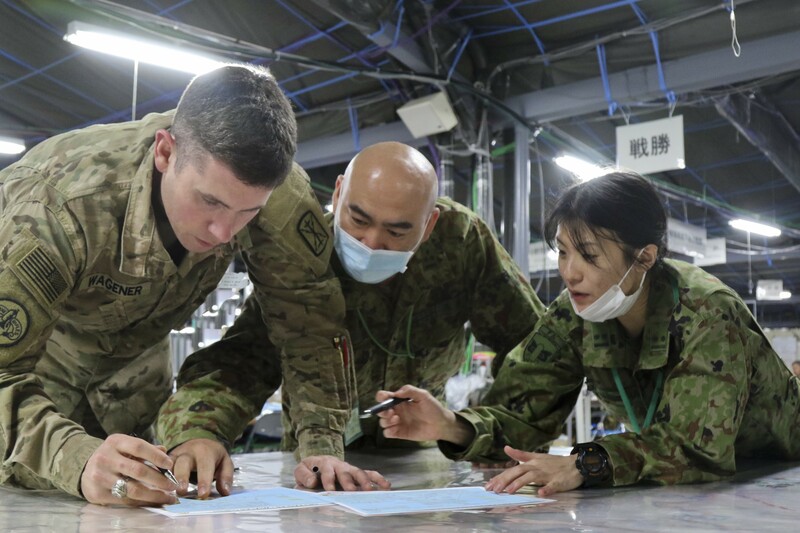 "As we have seen in some of the conflicts around the world, our adversaries have already been looking at how to bring multiple domains together," said Chief Warrant Officer 4 Thomas O'neil, Sr. targeting officer with U.S. Army Cyber Command. "So, we like our adversaries, are doing the same, to see how we can bring all of the domains together on the battlefield in time and space to create the right environment to gain the advantage against our adversary." He goes on to say the Army, especially the field artillery, knows how to execute lethal attacks. Now, they can coordinate with various information operations to add a non-lethal effect layer to that targeting process, creating additional challenges for the enemy to face and further degrading their ability to gain the advantage in the lethal fight. "Now we are bringing three domains all together to mask fires on that enemy commander," said O'neil, "which then really give him more dilemmas to think about how solve, slowing his reaction time and opening the ability to remove his forces." As Col. Christopher W. Wendland, commander of the 17th FA BDE and the MDTF-PP HQ, says to his soldiers, "this is a learning command, so let's figure this out."